I usually loathe it when people groom in public. Whether it’s brushing your hair or putting on a full face of makeup on the train, it’s always squicked me out. I get that some people don’t have time in the morning, but still… so unhygenic for you and those around you. Especially that person who has the audacity to spritz on perfume. I’m looking at you. There are some things that should just be done in the privacy of your bathroom. Watching Lisa Elridge’s pampering video has got rid of my prejudice! I had a long flight scheduled and remembered to pack face masks and the rest of my face routine in my carry-on. Considering my luggage, 50% was skincare, 30% books, and 20% clothes. That’s how we do. The recycled cold air in plane cabins can make your skin dry, dull, and uncomfortable. 14+ hours of air conditioning and lacking the facilities to tend to your skin makes it easy to look haggard upon landing. I modified my Elridge routine because I have oilier skin than she does. I’m also much lazier. 1. Crank up the old school Mariah Carey jams, courtesy of Emirates air. This is required. Skin cells respond to her crooning and dolphin-range pitch. It’s like science or something. 2. With sanitized hands, use a baby wipe or makeup remover cloth to degunk your face. Bonus tip: use the wipe as a buffer between your fingers and incorporate a facial massage. Use your ring fingers and give firm pressure on the space between and above your brows, temples, sinus points, and jaw line. 3. Apply your favorite face mask by smoothing it on carefully and take the extra serum down to your neck and decollete. Make sure to make silly faces at any children sitting near you. You know you’re successful when babies cry upon seeing your face! I used the My Beauty Diary black pearl mask because it comes with so much frickin serum that I can use it on my neck and arms . It also sinks in fairly quickly, feels light, and make your skin feel lush. 4. Relax. 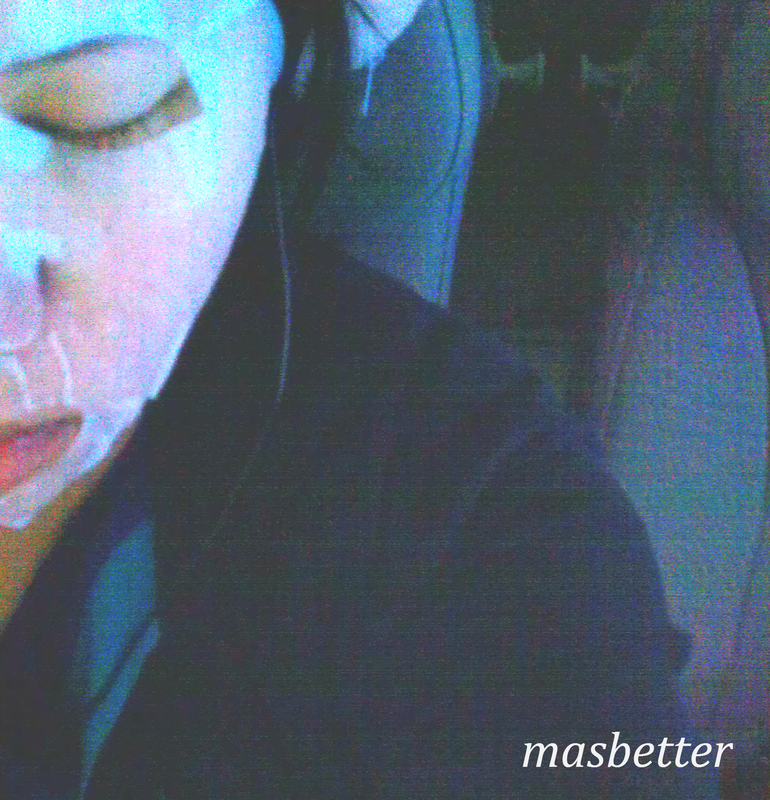 After the mask dries a bit (~10 mins), you can put on an eye mask to block out light and really get into it. Face masks usually dry out within 30 minutes. You’ll know it’s ready to pull off when the mask cloth starts to pucker. 5. Remove mask and massage the remaining serum into your skin. If you’re as germaphobic as I am, use the method described in #2. 6. When the serum fully dries, apply your moisturizer. I also like to use a heavier duty moisturizer under my eyes and cheeks because I have a bit more dryness there. 8. Fill in your brows and under-eye concealor because you know you did not get enough sleep since the flight attendants insisted on waking you every couple of hours for service. Also your rude neighbors who played armrest wrestling. I honestly had the biggest trouble with step 8 because somehow I was more comfortable looking like an alien with the face mask . Putting on makeup in public, no matter how minimal, still makes me uncomfortable. But if Lady Elridge can do it, why shouldn’t you? Just don’t use loose powder. WHO DOES THAT!?! That’s the one line I will not cross. ← how does stress affect your hair?